The Sutton Lake Stormwater Storage Project plans to construct a controlled outlet structure at the Sutton Lake Blvd culvert crossing to store stormwater in Sutton Lake. The outlet structure would be at the same elevation as the current outlet structure but would release water from the lake more slowly, thus reducing the immediate impact downstream. 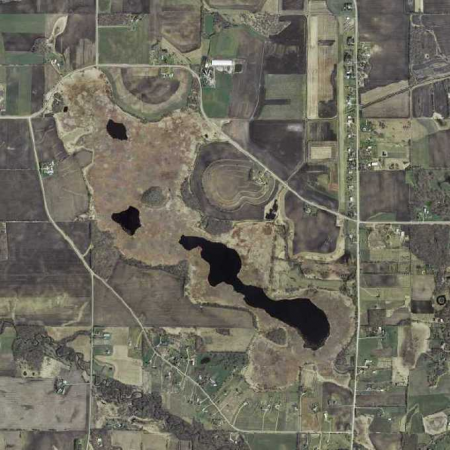 Sutton Lake is a 64 acre lake located in Sand Creek and Spring Lake Townships. Sutton Lake is located in the upper watershed of the District; water from Sutton Lake eventually flows into County Ditch 13 and then into Spring Lake and Prior Lake. The Prior Lake Stormwater Management & Flood Mitigation Study (“Flood Study”) was completed in December 2016. The study was a completed in response to the 2014 flood. The goal of the study was to identify ways to reduce future flooding, including potential projects. The Sutton Lake Stormwater Storage project is one of the proposed project options the District has decided to move forward with. The project is currently still in the planning stage and a meeting with neighboring landowners was held in Spring 2018. For more information on the project, contact Diane Lynch at 952-440-0067. The District covers about 42 square miles in Scott County, MN. Water in the PLSLWD flows mainly from the southwest to the northeast through Spring, Upper Prior and Lower Prior Lakes, and then north through the Prior Lake Outlet Channel to the Minnesota River near Valley Fair amusement park. (c) 2018 Prior Lake Spring Lake Watershed District, All Rights Reserved. Minneapolis web design by Iceberg.